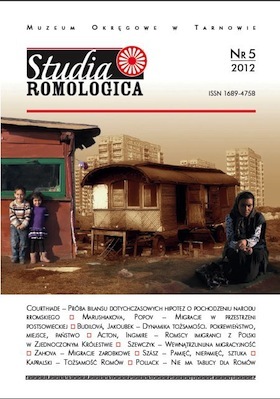 (Title in Roma language: E rromenqeri edukacia and-i Cexoslovakia and-o bb. 1945–1992). The subject of the article is the education situation of the Roma people in Czechoslovakia. The author examines the activities of the state's educational authorities and educational schemes aimed at the Roma community. The education system within the communist state did not maintain its institutional autonomy but, similarly to most totalitarian regimes, served in favour of dominant ideology. When the policy of assimilation of the Romani was in process a myth prevailed that all the pupils are the same and their needs do not very much. As a consequence nearly identical pedagogical approach was applied towards all the students. The linguistic and cultural disparity of the Roma was not recognized and their ethnic identity was not taken into account. The stereotype of common needs has lived on nearly until present times. This situation is a result of the education system, its personnel and the curriculum not being sufficiently equipped for the challenges of intercultural education.